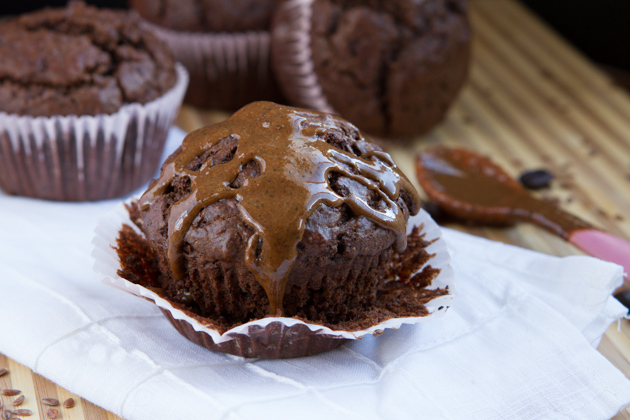 Flourless, fluffy, grain-free, keto muffins made with ground flaxseed, fudgy and delicious without the sugar or grains. Naturally high in fiber, low in carbohydrates, sugar-free, keto, and paleo. Flaxseed is such a powerful ingredient. Of all the items in my keto pantry, I’m loving flaxseed the most right now. It’s inexpensive, high in fiber, low carb, keto, is helping me navigate healing my hormones, it’s versatile, and makes really good… everything. My friend Andrea from Pure and Simple Recipes made these keto flaxseed pancakes (just flax, egg, nut milk, and a touch of sweetener, really). Don’t they look amazing? Then there are keto flaxseed cinnamon bun muffins, keto flax focaccia, keto flax crackers, the list goes on! Surely, you can fall in love with this keto power seed, too… right? Please say yes. You won’t be disappointed. And the cool thing? I haven’t met a person (yet!) who’s allergic to flax. I’m sure flax allergy is out there, but I feel like it’s few and far between. 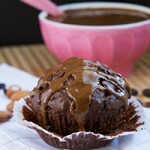 Making these keto muffins and all of my keto flaxseed recipes, wonderful for you, your family, friends, you name it. But wait! Before you get excited about today’s fudge-tactic keto recipe, it’s absolutely imperative that I share this with you: you HAVE to use roughly-ground flaxseed for this recipe. It will not work with finely ground flaxseed. I grind my own flax using my spice grinder (you can get one here for under $20) or, if you’re looking for store-bought ground flax, Bob’s Red Mill makes this roughly-ground flaxseed. 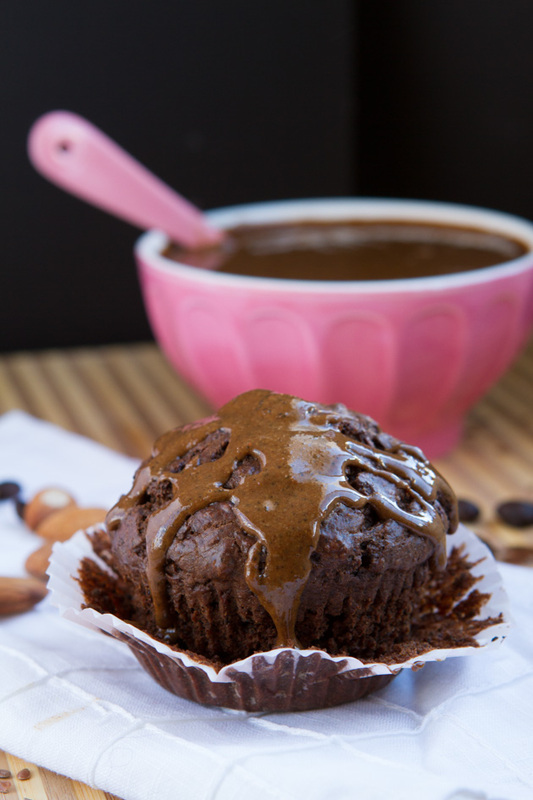 Okay, now that that’s out there, let’s make some healthy chocolate muffins, a naturally low carb, keto recipe! 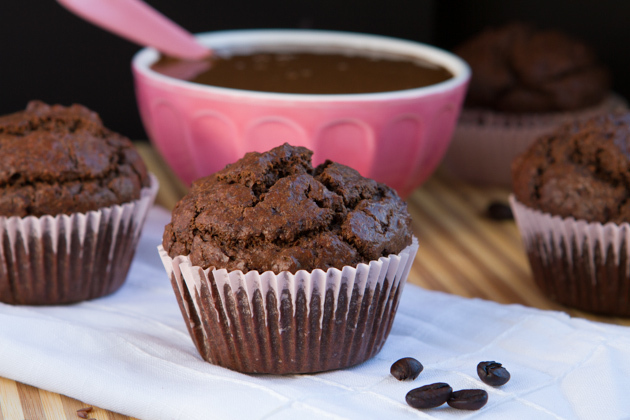 If you’re not following a low-carb, keto eating style, adding chocolate chips to these muffins would be superb. If you are following low-carb or keto, or you’re watching your sugars, have you see these keto stevia-sweetened chocolate chips? Could be a potential keto win! 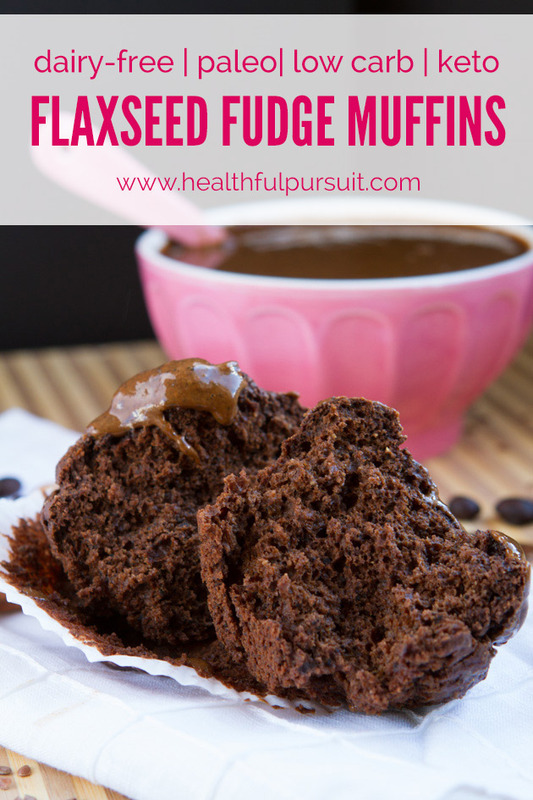 Flourless grain-free, sugar-free, low carb, keto muffins made with just flaxseed. Eggs: I have not tried to make this keto recipe egg-free, however I do think it’s possible. Perhaps starting with replacing the eggs with homemade flax egg is a good starting point. 1 egg = 1 tablespoon finely ground flaxseed combined with 3 tablespoons warm water. Allow to sit for 3 minutes before using in recipe. Ground Coffee: if you are sensitive to, or do not want to use coffee in this keto recipe, feel free to omit. I used Bulletproof Decaf Coffee. 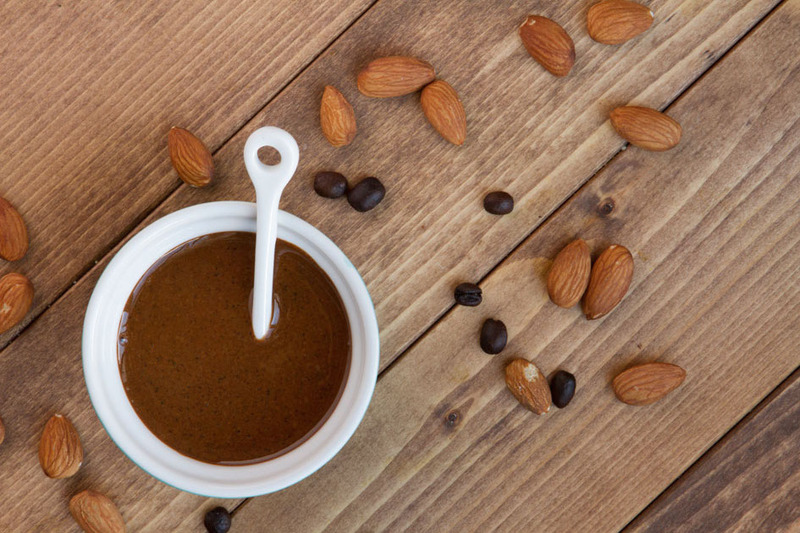 You don’t have to use my Keto Espresso Fudge Protein Almond Butter for this recipe if you don’t like coffee. 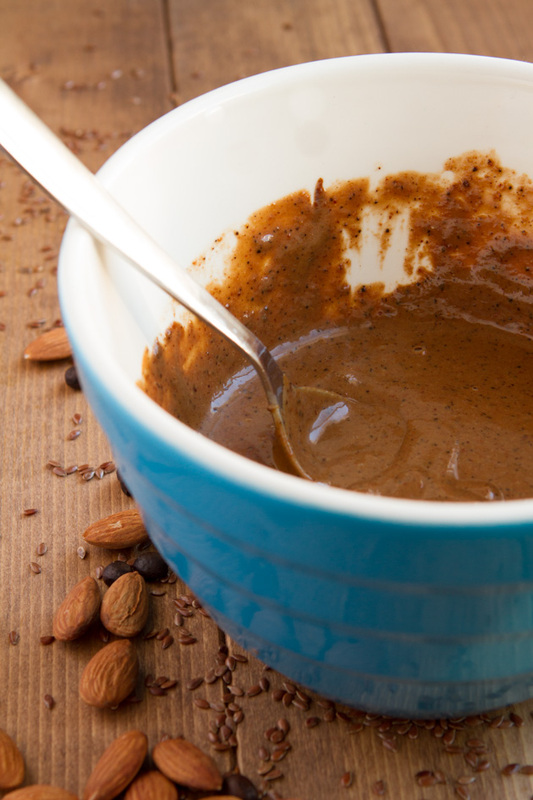 You could use any chocolate-based nut butter. Add all of the wet ingredients to a bowl and stir it well! 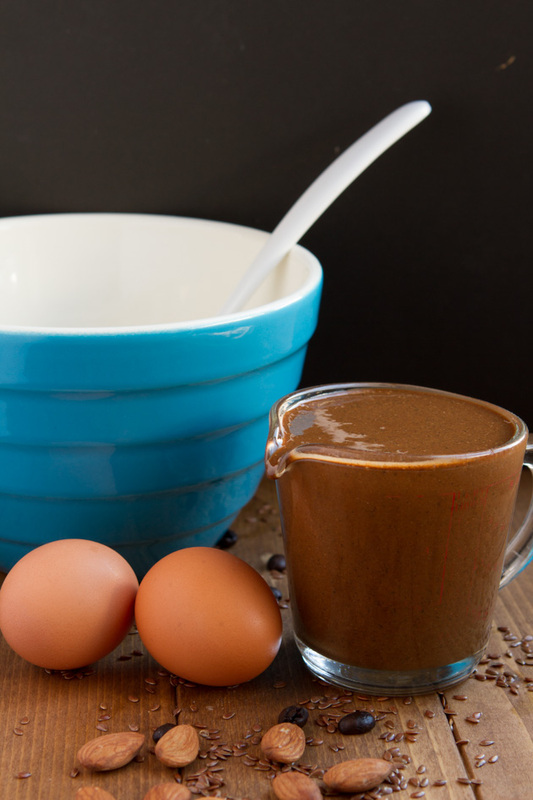 You want to make sure that the water and eggs are incorporated with the nut butter. Nut butter doesn’t like to play well with water. Use those muscles! Drop dry ingredients into a small bowl and give it a good stir. 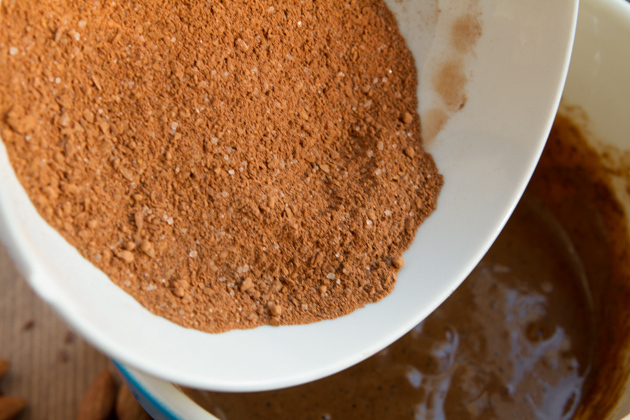 As with all of my recipes, a high-quality cacao powder goes a long way in recipes like this. So rich, so good. 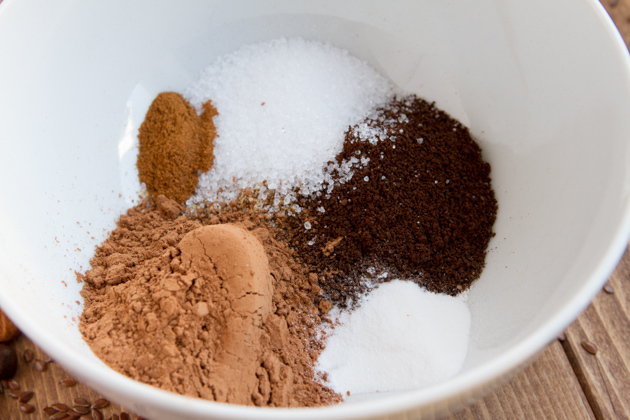 Transfer the dry ingredients into the wet. 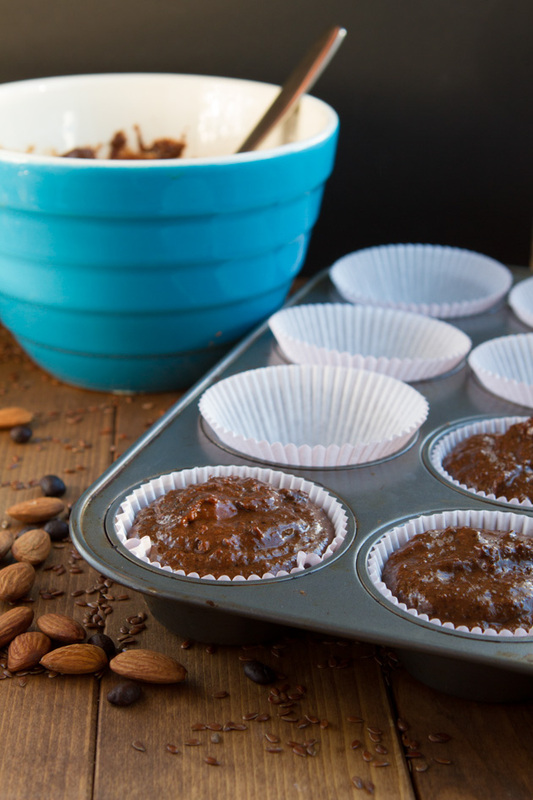 Once mixed, drop the batter into prepared lined muffin tin. These keto babies will grow, so fill to about 85% to the top of the liner. Serve, slather, and dig in. Psst… Hormones, weight and body image got you down? Master the balance with an “Ask The Nutrition Educator” online event, airing March 17, 2015 on YouTube! Amber Romaniuk, and I recording this FREE women’s health event March 13 and releasing the recording on YouTube March 17. Get your questions answered! Submit your questions by sending me an email.